Four men have been found not guilty of affray over an alleged confrontation with hunt saboteurs. The men were charged after an incident in Thixendale, North Yorkshire, in March 2017, when they were with members of the Middleton Hunt. It had been claimed that four defendants had been involved in a row with the saboteurs. However ahead of a trial at York Crown Court, prosecutors offered no evidence against all four men. The judge returned not guilty verdicts in the case of Philip Makin, 34; Richard Robertson-Tierney, 30; Roger Marley, 50; and Robert Robertson-Tierney, 56. 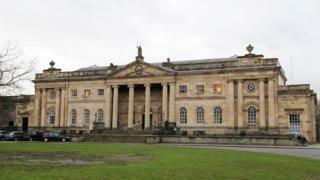 Mr Marley, of Church Lane, Langtoft, East Yorkshire, was also found not guilty of wounding; while Robert Robertson-Tierney, of Cross Lane, Snainton, North Yorkshire; and Mr Makin, of High Lane, Felixkirk, North Yorkshire; were both cleared of assault occasioning actual bodily harm.